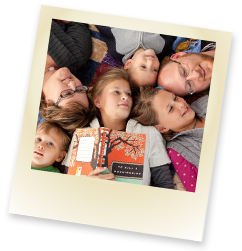 Sign up for your FREE JBF Spokane account. You can choose to sell items and also register to HELP OUT the sale and shop early for the best deals. Gather your items together, prep them (according to our website guidelines) and create your tags using our online tagging system. We've got helpful videos for you,too! Bring your items to the drop off times below. If you want to donate anything that doesn't sell, your done! If you want to pick up anything that doesn't sell, see times for that too. .....and about a week later, your check shows up in the mail! YOU PRICE, PREPARE AND DROP-OFF YOUR QUALITY ITEMS! You keep 60% of the selling price and a $12 consignor fee is deducted from your check. Your check is mailed to you about a week after the sale. You will earn more money than at a resale store or garage sale. We market and advertise, rent the space, host the sale and do all the paperwork and muscle work for you. Consignors drop off their items prior to the event. You do not have to stay with your items. The sale is set up just like a well organized store. Customers go home with the garments and take the hangers with them. Your unsold items will be sorted for pick up at the end of the sale or you can choose to donate your items to our charity partner. Which Presale Pass do you want? The more you volunteer, the earlier you shop! All volunteers also shop our half price presale first on Saturday night! Volunteer Presale is Thursday, March 28th. Sign up for one of our VIP shifts on Sunday and you get to shop at the 4:30 presale. Your name will be on a list at the door and you will also get a pass to skip the long presale check out line. That means you can shop all night long with no worries! Sign up for a combination of 3 and 4 hour shifts and you can shop at 4:30 or choose 2 passes for 5:00 for you and a guest. JBF Spokane Staff also shop during this time. Sign up for a 3 or 4 hour shift and you get to shop at 5:00 presale night. ALL volunteers also shop at the half price presale first too! Your name will be on a list at the door. If you have questions about volunteering please contact our volunteer leader Kelsey. This is for consignors who have signed-up with JBF Spokane, have a consignor number and have tagged and prepped all their items for the sale. If you have heavy items to unload we would be glad to help you. Allow about 1 hour to complete the drop off and inspection process. In order to prepare for the presale we cannot accept items after 3:00pm. You can make as many trips in the building as you need to drop off your items. First you will check in at the computer and then be asked to sign a consignor waiver. We will have extra waivers at drop off for you too. If you are dropping off items for a friend you will need to bring their signed waiver with you. You will be able to make several trips to your car to bring in all your items once you have been assigned a volunteer inspector. Receive your consignor pick up form explaining the pick up process and your pick up time. You will need this form to pick up your items and any one elses items you plan to pick up. Receive your presale pass for you and 1 guest for the 5:30pm presale. Your items will then be inspected by volunteers to make sure they meet JBF standards. Sort items according to gender and size for speedy hanging. Double check items before inspection. 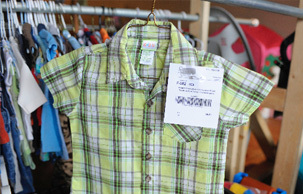 Be sure tags, hangers and items will clear JBF inspection (see merchandise prep for more info). Items tagged not hung and tagged properly will not be accepted. You will then be asked to set out acceptable items on the sales floor. We will have signs to give you directions and the volunteers can help you when they are not busy with inspection. After accepted items have been set out on the sales floor you will then pick up your unaccepted items. You can choose to donate those items to our charity partner or take them home with you. 2nd drop off is for registered consignors who would like an additional time to drop off large items over $10. Clothing items will not be accepted at this time. Set approved items out on the sales floor. If you DO NOT wish to have your unsold items donated. Items WILL BE SORTED for your convenience. Our breakdown and sort is a step by step process. It takes a large team to sort consignors unsold items. Allow about 30 min to complete the pick up process. Please do not come before 7:30pm to pick up your unsold items. They will not be fully sorted until that time. Bring the consignor pick up form you received at drop off with your consignor number on it. Find your pile of unsold items on the sales floor. There will be a consignor check out form with your name and consignor number on your pile. Volunteers will be walking the floor and can help you find your pile. Double check that everything in the pile in yours. Our volunteers do their best to return every unsold item to you but sometimes things can get mixed up. Check the unsalable and no tag tables. These are items that were removed from the sale because of lost tags, broken, stained, out of season, ect. Carry your unsold items and consignor check out form with you to the check out tables (these tables are located near the exit door). A JBF staff person will then double check your unsold items making sure everything has your consignor number on them. Sign your consignor check out form and hand it to the JBF staff after they have inspected your items. Your check for your sold items will be mailed to you in about 1 week. If you cannot pick up your unsold items yourself, you may send someone else to do so for you. Please fill out the bottom portion of the consignor pick up form granting them permission to pick up your items. Please note-This person may not be able to recognize your items as well as you therefore, if any of your items have been put in the no tag or unsaleable area at pick up, they may not recognize them as yours. All items not picked up by 9:01pm will be donated to our charity partner. Check out our video library with easy-to-follow instructions and tips to make the most money for your items! Various item preparations are covered to take the guesswork out of your tagging. What can I sell at JBF? Here are just a few things you can sell at JBF! Clothing that is the wrong season. Items that have been recalled. Please click here to check out the Consumer Product Safety Commission website for any recalls. What is considered "in season" at JBF Spokane? JBF has the final say on all accepted items. If you have questions please feel free to email me. If you have never logged into our system before but get our emails, enter your email address and click forgot password at the top. If you don't get our emails already, create a new account. You're going to love this system! You will set your own price on all items. Be sure to price to sell and half price items are a big seller on Sunday so be sure not to star your items for Sunday shoppers. Please make sure that your consignor number is correct on every tag. If you want to donate your unsold items after the sale, choose the donate option on your tags. You set your own price. Price to sell! Generally things sell for 1/3 of the original price depending on the supply/demand of your items. If you decide not to let your items sell for half price, it will print a star on the tag. This tells the shopper that your items is full price on half price day. Hint- half price items sell! Especially small toys and clothing. Children's clothing sizes 4 and under must be on child size hangers. You can get these inexpensively at Walmart, Target or the Dollar Store. Some dry cleaners, Old Navy also give hangers away for FREE. Look for these hangers EARLY. Most places run out way before the sale. If you cannot find them, use what you have, just remember that the cheap plastic ones tend to break easily. .Only 10 Maternity items will be accpeted per consignor. Be sure to secure the tag on the upper left shoulder of the shirt (if you're looking at the shirt, it's the right shoulder). Use safety pin or a tagging gun for your tags. DO NOT STAPLE TAGS TO CLOTHING! If you are using a tagging gun please place the tag in the store label tag if available, under the seam that runs underneath the shirt collar, or the last resort in the under arm seam. Games and puzzles must include ALL pieces and be in box/plastic bag. Tape shut with clear packing tape. Use ONLY clear packing tape or blue painters tape to attach tags to books. Do not use scotch or masking tape. NO explicit or rated R DVD's. Note: Attach tag to item with clear packing tape, safety pin, or by punching a hole in the top of the tag and securing with ribbon. Note: Place a piece of tape on tag before punching a hole. This will reinforce the tag so that it is not easily torn off your item.